Simultaneous avulsion fracture of both cruciate ligaments of the knee is a rare and serious injury that can be treated effectively by arthroscopic fixation with suspension devices. Department of Orthopaedics, Hospital Virgen de la Victoria, Málaga, Spain. Department of Orthopaedics, Hospital Vithas Parque San Antonio, Malaga, Spain. Department of Radiology, Hospital Virgen de la Victoria, Málaga, Spain. Department of Orthopaedics, Hospital de Antequera, Málaga, Spain. Hospital Universitario Virgen de la Victoria,Servicio de Cirugía Ortopédica y Traumatología, 4ª Floor, Campus Teatinos s/n, 29010Málaga, Spain. Introduction: Simultaneous avulsion fractures of the insertion of both cruciate ligaments of the knee are extremely uncommon lesions and their treatment remains difficult. The purpose of this paper is to show an arthroscopic repair technique of simultaneous tibial avulsion fracture of both cruciate ligaments of the knee such by using an adjustable length suspension device. Case Report: A 25-year-old male patient was treated by arthroscopic reduction and fixation of both bony avulsion of cruciate ligaments of the knee with a sliding and adjustable length suspension device (ZipTight, Biomet, Warsaw, IN, USA). There were no post-operative complications appeared. 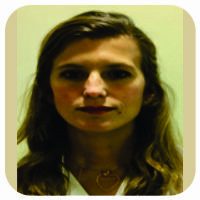 At 18-month follow-up, the patient was conducting normal life, free of symptoms. At clinical examination, Lachman, anterior drawer, pivot shift, posterior drawer, and reverse pivot shift tests were negative. Range of motion was 130° flexion, presenting a slight 5° of extension deficit. The International Knee Documentation Committee score was 83.80 points. Lysholm scale was 85 points. Conclusion: The described repair technique is able to provide stable fixation of bone fragments in the face of early fracture consolidation, as well as minimizing potential complications and surgical time. Keywords: Posterior cruciate ligament, anterior cruciate ligament, avulsion fracture, arthroscopic technique, suspension device. Avulsion fractures of the insertion of cruciate ligaments of the knee are relatively rare lesions that, in spite of occurring more frequently in children and adolescents, can also happen in adult knees, with a mechanism similar to the responsible for ligament tears [1, 2, 3]. In 1959, Meyers and McKeever  proposed a classification system for these avulsion fractures, which divides them into Type I, II, and III. Later, Zaricznyj  added a fourth type, which consisted in comminuted fracture of the avulsed bony fragment. Conventionally, conservative treatment was indicated for Type I lesions and surgical treatment (reduction and fixation) for some Type II and Types III and IV lesions [6, 7]. In recent decades, arthroscopic reduction and internal fixation of the bony fragment have become the preferred treatment for most authors to repair these lesions [8, 9], with multiple techniques and fixation devices described, such as cannulated screws , Kirschner needles , staples , cerclage wires , or different types of transosseous suture, either direct suture [14, 15, 16, 17, 18, 19, 20] or supported by buttons or other suspension devices [21, 22]. Although there is extensive bibliography on the management of isolated bony avulsion of anterior cruciate ligament (ACL) or posterior cruciate ligament (PCL), we have only found one job in the literature of recent years focused on the treatment of concurrent avulsion fracture of both tibial spines in the context of trauma patient . 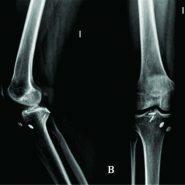 The aim of this paper is to present a case with simultaneous tibial avulsion fracture of both cruciate ligaments of the knee and to show an arthroscopic repair technique of such lesion using an adjustable-length suspension device. The case of a 25-year-old male patient who came into the emergency room after suffering trauma with left knee injury due to motorcycle accident is presented. Clinical examination revealed significant joint effusion and limited and painful mobility. Anterior and posterior drawer tests were difficult to evaluate because of pain. No laxity was observed. In the X-rays taken at the emergency room, concurrent avulsion fracture of anterior and posterior tibial spines was shown,Type IIIb (displacement and rotation offragment) and Type II, respectively, as classified by Meyers and McKeever .A computed tomography scan was performed to confirm such lesions (Fig. 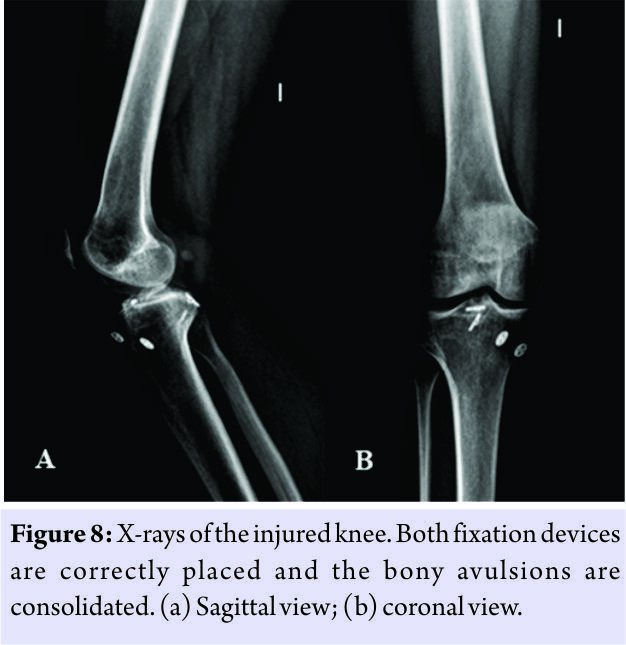 1); the size of the avulsed fragments was 11× 12 × 8 mm (ACL bony avulsion) and 19 × 12× 6 mm (PCL bony avulsion). Surgery was performed 6 days after trauma. The operation was performed under general anesthesia. The patient was positioned supine with the limb placed in a standard leg holder with 90°flexion of the knee, and is chemia was applied to the root of the affected limb. The central transtendinous (usually employed by the authors for cruciate ligaments surgery) and the anteromedial and posteromedial portals were used. Arthroscopic diagnosis was made, confirming both lesions and ruling out other associated injuries. With the arthroscope placed in the central portal, and after removing synovial tissue and Hoffa’s fat pad to improve visualization, it was proved that bony avulsion of ACL could be reduced, with the help of a probe introduced by the anteromedial portal(Fig. 2a). The posteromedial recess was addressed by introducing the arthroscope between the PCL and lateral wall of the medial condyle. The posteromedial portal was established so that the avulsion of the PCL could be observed (Fig. 2b). For fixation of both avulsed fragments, the adjustable length suspension device ZipTight® (Zimmer Biomet, Warsaw, IN, USA) was used. This device has a pusher to facilitate the passage of the implant through a bony tunnel (Fig. 3). The PCL tibial avulsion fracture was treated first. An exhaustive debridement of the remnants of the synovial tissue was performed, and the bony fragment was reduced to its anatomical position. With the arthroscope placed in posteromedial portal, the PCL Guide (Biomet, Warsaw, IN, USA) was introduced through the anteromedial portal, positioning it on the avulsion of PCL insertion. With the guide set at 45°, a 2.4mm guide pin was introduced from the anteromedial aspect of tibial metaphysis (after performing a longitudinal 2-cm incision) through the avulsed fragment, displaying the output of the needle through the center of the bony fragment to avoid any possible damage to the popliteal neurovascular bundle. Over the guide pin, a tunnel was performed with a 4.5 mm cannulated drill bit (Fig. 4). Meanwhile, an assistant prepared the ZipTight implant, placing it in the end of its pusher. Once prepared, it was introduced in the tibial tunnel, carried by the pusher, to the intra-articular exit of the tunnel, through the avulsed fragment (Fig. 5). Once the implant appeared at the intra-articular exit of the tunnel, an obturator was introduced through the pusher until the implant came out entirely to the joint. By pulling the loops of the device, the implant was settled over the fractured fragment. Subsequently, the strands were fitted to the lateral grooves of the cortical button and side wires were pulled to adjust the knob to the tibial cortex. Continuing traction, fragment was reduced and fixed firmly in its bed (Fig. 6). Second, the fixation of the anterior cruciate avulsion fracture was carried out. With the arthroscope in the central portal, ACL bone avulsion was addressed. As in the posterior spine injury, exhaustive cleaning of synovial and small chondral remnants was performed. Using a probe, the bony fragment was reduced to its anatomical position. Through the anteromedial portal, an ACL Guide (Biomet, Warsaw, IN, USA) was introduced, open at 55°; a 2.4 mm guide pin was placed from the medial side of tibial metaphysis, using the same incision made for the posterior fragment, and crossing the avulsed bony fragment. Using such needle as a guide, a tunnel was performed with a 4.5 mm cannulated drill bit. Subsequently, another implant was placed, adjusted, tensioned, and fixed in identical manner to the posterior fragment (Fig. 7). Passive mobilization of the knee started 24 h after surgery. Full weight-bearing of the limb was allowed with a knee brace in extension during the 1st 4 weeks. After the 4th week, the immobilizer was removed and progressive full knee flexion was allowed. The patient returned to his usual sports activity 6 months after the intervention. No post-operative complications appeared. At18-month follow-up, the patient was conducting normal life and free of symptoms. At clinical examination, Lachman, anterior drawer, pivotshift, posterior drawer, and reverse pivot shift tests were negative. Range of motion was 130° flexion, with a 5°lack of extension. The International Knee Documentation Committee score was 83.80 points. Lysholm scale was 85 points. Patient resumed activities of daily living without any problem. Consolidation of both tibial spine avulsions was confirmed by anteroposterior and lateral X-ray (Fig. 8) and by magnetic resonance imaging. Herein, the case of a patient suffering simultaneous bony avulsion of both cruciate ligaments of the knee is presented; both avulsions were successfully treated by arthroscopic reduction and fixation with an adjustable self-locking knotless suspensory device. To the best of our knowledge, this is the first case described in the literature regarding this lesion in isolation, despite there is a single case report describing such injury in association with other fractures in the context of polytrauma patient . The main advantage of the technique described in this article is its simplicity and reproducibility. Self-locking and knotless sliding suture system allows adequate compression of avulsed bone fragment without complex procedures. It also permits a better distribution of the pressure on the bony fragment, thus leading to reduced risk of secondary displacement or fragmentation of such fragment with consequent loss of reduction, which can occur in cases of fixation with cannulated screws or simple suture [10,17,19].Another advantage of this procedure over others is the need for a simple 4.5 mm tunnel to fixate each tibial spine, unlike others that require two or more tunnels for each fragment, which would entail a more difficult technique. Through specific guides for reconstruction of ACL and PCL, respectively, such tunnel is easily performed in the center of tibial spines, therefore minimizing the risk of breakage and ensuring that compression force is distributed homogeneously throughout the fragment, thus providing ideal conditions for consolidation. In 1982, McLennan  first described the advantages of arthroscopic treatment of avulsion fractures of tibial spines, referring to minimal operative morbidity and simultaneous treatment of associated injuries. Although in cases with considerable size of fragments the classically recommended technique is arthroscopic reduction and fixation with cannulated screws, suturing techniques have shown good results in recent years . Arthroscopic suturing procedures are technically demanding due to difficulties regarding avulsion reduction, successful completion of tunnels, and passage of the suture through them. In 2012, Wajsfisz et al. proposed another fixation technique for PCL avulsions with a similar device to that used in our case, showing encouraging results. Through a single tunnel, they introduced the device retrogradely through the avulsed fragment, and once expanded, interfragmentary compression and fixation of the suture in the anteromedial tibial cortex were made. We can conclude that the described repair technique of simultaneous avulsion fracture of both tibial spines through knotless suspension device is able to provide stable fixation of bony fragments in the face of early fracture consolidation, as well as minimizing potential complications and surgical time. In addition, it is a relatively simple and easily reproducible technique in daily clinical practice. However, larger prospective studies are needed to test the long-term efficacy of this device. Suspension devices offer a valid option of treatment of the simultaneous avulsion fracture of both cruciate ligaments. 1. Duthon VB, Barea C, Abrassart S, Fasel JH, Fritschy D, Ménétrey J, et al. Anatomy of the anterior cruciate ligament. Knee Surg Sports Traumatol Arthrosc 2006;14:204-13. 2. Girgis FG, Marshall JL, Monajem A. The cruciate ligaments of the knee joint. Anatomical, functional and experimental analysis. 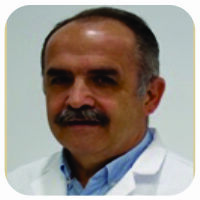 Clin Orthop Relat Res 1975;106:216-31. 3. White EA, Patel DB, Matcuk GR, Forrester DM, Lundquist RB, Hatch GF 3rd, et al. Cruciate ligament avulsion fractures: Anatomy, biomechanics, injury patterns, and approach to management. Emerg Radiol 2013;20:429-40. 4. Meyers MH, McKeever FM. Fracture of the intercondylar eminence of the tibia. J Bone Joint Surg Am 1970;52:1677-84. 6. Lubowitz JH, Elson WS, Guttmann D. Part II: Arthroscopic treatment of tibial plateau fractures: Intercondylar eminence avulsion fractures. Arthroscopy 2005;21:86-92. 7. Griffith JF, Antonio GE, Tong CW, Ming CK. Cruciate ligament avulsion fractures. Arthroscopy 2004;20:803-12. 8. Kim SJ, Shin SJ, Choi NH, Cho SK. Arthroscopically assisted treatment of avulsion fractures of the posterior cruciate ligament from the tibia. J Bone Joint Surg Am 2001;83-A:698-708. 9. Sasaki SU, da Mota e Albuquerque RF, Amatuzzi MM, Pereira CA. Open screw fixation versus arthroscopic suture fixation of tibial posterior cruciate ligament avulsion injuries: A mechanical comparison. Arthroscopy 2007;23:1226-30. 10. Choi NH, Kim SJ. Arthroscopic reduction and fixation of bony avulsion of the posterior cruciate ligament of the tibia. Arthroscopy 1997;13:759-62. 11. McLennan JG. The role of arthroscopic surgery in the treatment of fractures of the intercondylar eminence of the tibia. J Bone Joint Surg Br 1982;64:477-80. 12. Torisu T. Isolated avulsion fracture of the tibial attachment of the posterior cruciate ligament. J Bone Joint Surg Am 1977;59:68-72. 13. 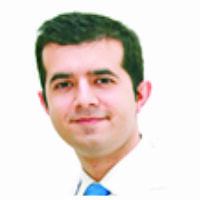 Calpur OU, Copuroglu C, Ozcan M. Avulsion fractures of both anterior and posterior cruciate ligament tibial insertions. Knee Surg Sports Traumatol Arthrosc 2002;10:223-5. 14. Matthews DE, Geissler WB. Arthroscopic suture fixation of displaced tibial eminence fractures. Arthroscopy 1994;10:418-23. 15. Ozkan I, Nakata K, Nakagawa S, Toritsuka Y, Natsu-ume T, Shino K, et al. Avulsion fracture of the anteromedial bundle of the anterior cruciate ligament. Arthroscopy 1997;13:767-9. 16. Boutsiadis A, Karataglis D, Agathangelidis F, Ditsios K, Papadopoulos P. Arthroscopic 4-point suture fixation of anterior cruciate ligament tibial avulsion fractures. Arthrosc Tech 2014;3:e683-7. 17. Gui J, Wang L, Jiang Y, Wang Q, Yu Z, Gu Q, et al. Single-tunnel suture fixation of posterior cruciate ligament avulsion fracture. Arthroscopy 2009;25:78-85. 18. Espejo-Baena A, López-Arévalo R, Urbano V, Montañez E, Martín F. Arthroscopic repair of the posterior cruciate ligament: Two techniques. Arthroscopy 2000;16:656-60. 19. Zhao J, He Y, Wang J. Arthroscopic treatment of acute tibial avulsion fracture of the posterior cruciate ligament with suture fixation technique through Y-shaped bone tunnels. Arthroscopy 2006;22:172-81. 20. 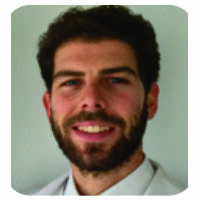 Verdano MA, Pellegrini A, Lunini E, Tonino P, Ceccarelli F. Arthroscopic absorbable suture fixation for tibial spine fractures. Arthrosc Tech 2014;3:e45-8. 21. Horas U, Meissner SA, Heiss C, Schnettler R. Arthroscopic fixation of posterior cruciate ligament avulsion fractures: A new minimally invasive technique. Knee Surg Sports Traumatol Arthrosc 2010;18:781-3. 22. Wajsfisz A, Makridis KG, Van Den Steene JY, Djian P. Fixation of posterior cruciate ligament avulsion fracture with the use of a suspensory fixation. Knee Surg Sports Traumatol Arthrosc 2012;20:996-9. 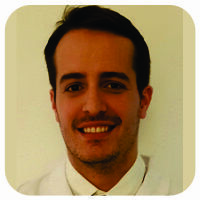 How to Cite This Article: Lombardo-Torre M, Espejo-Reina A, García-Gutiérrez G, Alejandro Espejo-Baena A, Espejo-Reina M J. Arthroscopic Treatment of Concurrent Avulsion Fracture of Anterior and Posterior Cruciate Ligament with Suspension Device. Journal of Orthopaedic Case Reports 2018. Mar- Apr; 8(2): 81-85.